I will give a lightning talk about Kamailio (OpenSER) 3.0.0 on the main track at FOSDEM 2010, the annual meeting of free and open source developers. It is already a tradition that folks around Kamailio (OpenSER) and SIP-Router.org projects meet in Brussels to plan the year. Last time we crafted the SIP Router integration plan, which seemed impossible to be doable in an usual release cycle, but it was with luck, 3.0.0 is already out there. Hope to meet many of you in Brussels! A new E-Learning class about SIP Router Configuration File is due to start on February 8, 2010. Registrations are accepted up to February 5, 2010. The class duration is six months and gives the opportunity to learn the structure of configuration file and how to write it properly. Lessons are applied to Kamailio (OpenSER) and SIP Router SIP servers, touching VoIP security and scalability. Kamailio (OpenSER), now at release v3.0.0, is an open source SIP server, awarded Best of Open Source Networking Software 2009 by InfoWorld magazine, used world wide in VoIP platforms servicing millions of active subscribers and routing billions of call minutes per month. Use the contact form for registration details. Two weeks since Kamailio 3.0.0 was released and everything goes smooth. Unexpected?!? Many were reticent about stability provided the bag of new features and the integration of core and tm module with SIP Express Router (SER) within SIP Router project. Indeed 2009 was heavy work year, but we prolonged the testing period to ensure 3.0.0 delivers high quality release as used to be always. 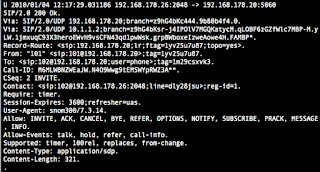 The users of voipuser.org and iptel.org VoIP services may have noticed that they run on Kamailio 3.0.0 and branch SR 3.0.0 for quite some time. Although they are free VoIP services, they host thousands of active subscribers, the first one serving over 50 SIP messages per second. As you could imagine, they run to core of proxy modules, like authentication, user location, accounting, nat traversal, presence and dialog, group-based authorization. With all of these everything rocks in 3.0.0. As a matter of fact, during these two weeks just few bugs were reported, in the usual spectrum after any major released, none of them affecting the core modules (so far misbehaving modules were sip_trace and uac). pipelimit - module to set limits (e.g., calls per second) based on customizable rules (e.g., trunks, destination address, source address, user). I feel really pleased with the outcome of SIP Router project so far, especially for Kamailio 3.0.0.
yeah, Truphone Local Anywhere is out - eager to get my hands on one SIM asap (any events soon in UK?!?! ), my mobile roaming bill considering the traveling agenda would really increase my company profit in 2010. 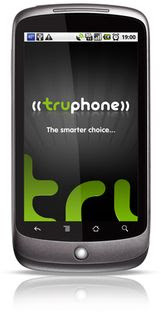 So, free calls when Wi-Fi, good price when on GSM and amazing low prices when roaming.. The smarter choice is becoming the obvious choice. This end of the week I will give a presentation at 3G+ and LTE Network Planning and Optimization Forum, taking place in Berlin, Hotel Palace, January 20-22, 2010. If happens to be around and want to meet, drop me an email (or comment here). A new version of SIREMIS Web Management Interface for Kamailio (former OpenSER) is available as v1.0.0. Transaction management (tm module) was the most re-worked internally. Inherited from SER via SIP Router framework, it brings a lot of novelty for Kamailio users. The core of the module in this form is out and tested heavily for more that two years. When comparing with the version we have in older versions of Kamailio (OpenSER), the new design removed a lot of locks, improved the retransmissions timers and exports richer API to build new applications in tops of it. In order to keep the module slim, a new module was created: tmx - tm extensions, trying to collect high application level function and let tm mainly for the core of transaction management. Kamailio (OpenSER) 3.0.0 was released on Jan 11, 2010. I updated the release notes and what is new in 3.0.0 wiki pages a lot inspired from this series - I deserve myself sending thanks to me. So, now XMLRPC. Kamailio (OpenSER) includes for quite some time the mi_xmlrpc module, the XMLRPC bearer for MI commands. The dependence of libxmlrpc-c3 set several limitations and created many problems over the time which are underlined by the benefits of the new one. After ten months since previous major release 1.5.0, I am glad to announce that Kamailio (OpenSER) v3.0.0 is out. From Kamailio project point of view, this is the first major milestone accomplished within SIP Router project, proving its viability. The work done so far, to offer the features brought out by this release, together with the development teams working together, make the future of the SIP Router project very solid. I would like to thank to everybody that contributed to get SIP Router project at this stage and I am eager to get to next major release from it source tree -- the work will continue in order to offer a more tight integration of Kamailio (OpenSER) and SIP Express Router (SER) projects, of course, along with development of new features. auth_identity is a new module in Kamailio (OpenSER) 3.0.0 implementing RFC 4474 - Authenticated Identity Management in the Session Initiation Protocol (SIP) - aka SIP Identity. The RFC defines a mechanism for securely identifying originators of SIP messages, a transitive authentication system, building signature over SIP message body and relevant headers, like From, To, Date, Call-Id, CSeq, Contact. Among immediate benefits are protection again man-in-the-middle attacks, registration hijacking or Caller ID spoofing. The series continues with: secure and scalable XMLRPC control interface. SCTP - Stream Control Transmission Protocol - read more about this protocol at wikipedia or the IETF RFC. Being designed with telephony in mind, SCTP and SIP match perfectly, unfortunately not many end devices support it due to late appearance, but for internal infrastructure and peering is the best option in terms of server resource usage, scalability and high availability. Integration of SIP with SS7 networks should be pushed forward by availability of this SCTP implementation in the Open Source space. Also I expect more and more big SIP platforms to migrate internally to SCTP, mainly because of reliability and high availability features offered by this transport layer. The PDB module and server have support for load-balancing and aggressive timeouts (in milliseconds), offering a scalable framework for number portability service. The module can query in many servers in parallel and use the first answer , ensuring just few milliseconds to query the remote server and return the reply to the configuration script. Runtime management can be done via Kamailio's control interface (e.g., via XMLRPC, FIFO file, UDP or TCP sockets). The most important aspect of every open source project is long term reliability. Kamailio (OpenSER) is no longer a small application, version 3.0.0 packages over 100 modules and you can use now other over 50 modules coming from SIP Express Router (SER). On another hand, we play on the availability-is-critical market - telecommunications. By law or user expectation, the service should not be down nor have long delays. If there is a bug, it has to be fixed quick, if there is a regression, then needs to be recovered asap. If the user has an emergency, you must route his 112 (911) call at any time. Moreover, just voice communication is deprecated, providers need to offer new services to resist on the market, new features need to be brought in. Considering all these, first thing to analyze to an open source project is the development team. And I think the SIP Router Project (out of which we package Kamailio (OpenSER) 3.0.0) has a great group of people and companies doing support and development. Do you need more references to convince you or your upper management to go with SIP-Router-project-based solutions? Contact me, I have dozen of other references for you, now I listed only those related to people involved in development team right now. Memcached is a distributed memory object caching system and the Kamailio module sharing the same name gives you the possibility to access the key-values stored in Memcached server from withing Kamailio configuration file. The pseudo-variables that give access to memcached operations are documented here. 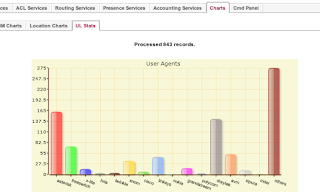 Then you can pull the number of SIP requests from a different application, like web admin portal. Next in this series will not be about a SIP-related feature, but probably the most important aspect over all: the development team - join of Kamailio (OpenSER) and SIP Express Router (SER) under SIP Router Project, resulting in lot more people working on, with large expertise in the area, backed up by many companies, to ensure solid future and extraordinary quality of project. SIP-related new features will continue afterwards. This time the testing phase was a bit longer way than usual, but the achievements pay the bill - you can run Kamailio (OpenSER) and SIP Express Router (SER) modules at the same time, as well as most of the core features from both applications. A great 2010 for kamailians and sip router users! 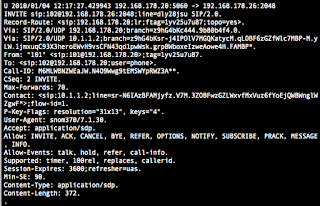 Note that for full privacy, you have to use a media relay (like rtpproxy) to hide the endpoints of media stream. 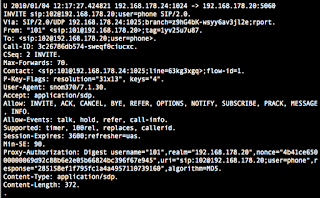 script writer gets access to clear SIP messages - using an innovation in Kamailio 3.0.0, the SIP message is decode before executing the config file and is encoded after it execution. Practically, in config you process headers as they are set by caller or callee, ensuring proper accounting, authorization, etc. Check next post to learn about MemCached connector - accessing memcached from Kamailio config file. Kamailio (OpenSER) v3.0.0 was released on January 11, 2010. It is the first version done based on http://sip-router.org integration project, meaning that you can use mixed features of Kamailio (OpenSER) and SIP Express Router (SER) in the same configuration file. This page collects the links to a series of blog posts highlighting the best new features made available by 3.0.0 release.